A tremendous look at one of the coolest jazz labels of all time – and one that has an especially strong focus on the more spiritual side of its music! 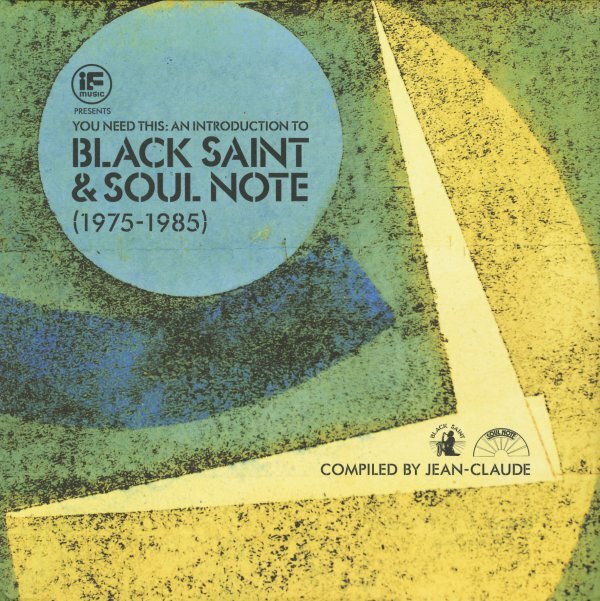 The paired Black Saint and Soul Note labels came along from the Italian scene right at a time when so many other American companies were shutting their doors – former spiritual jazz powerhouses like Strata East, Impulse, and Black Jazz were moving beyond the music, or disappearing entirely – which made the role of Black Saint/Soul Note such a crucial one! The company came into the game at a time of boundless creativity in American jazz – and really captured a post-Coltrane generation that was brimming over with fire and new ideas, but just needed a place to find expression – which it did at the label, who recorded dozens of albums in the space of less than a decade, nearly all of which have gone onto become classics over the years. And while there's a side of the label that's much more free jazz and avant garde, the cuts here reflect a Black Saint/Soul Note that's just slightly inside – tunes that are still freewheeling, but also have a rhythmic core – and the kinds of open, soaring solos that were first inspired in the 60s generation of Coltrane and Shepp. The choice of cuts is great – similar to the others in the If Music series – and titles include "Mr Seven" by M'Booom, "Joycie Girl" by Don Pullen with Sam Rivers, "Il Giro Del Giorno In 80 Mondi" by Enrico Rava, "Oasis" by Hamiet Bluiett, "Confessin" by John Stubblefield, "Joobubie" by George Adams & Dannie Richmond, "Verde Que Eu Te Quero Ver" by Rava String Band, "Down Home In New York" by Archie Shepp, "BK" by Air, and "The Nagual Julian" by Billy Bang Sextet. © 1996-2019, Dusty Groove, Inc.